With 2006 winding down, we asked two of our regular game reviewers to weigh in with their picks for the best titles of 2006. When considering the gulf between this game and the others on this list, think of the Grand Canyon. The latest in the venerable role-playing series, upgraded to a fine next-gen polish, boasts so much depth and otherworldly intrigue that it could easily have occupied an avid gamer for the entire year. Getting through the topographically diverse land of Cyrodiil—a process made blissfully easy by a "fast travel" option—not only realizes RPG strategy, but a full complement of gaming muscles, from first- and third-person action to puzzle-solving and personal relations. Moral guardians jumped all over the latest from the Grand Theft Auto crew, but beyond the schoolyard beatings and pranks lies a disarmingly sweet and tongue-in-cheek take on boarding-school life. How much vitriol can you cast on a game in which the weapons of choice (a slingshot, stink bombs, itching powder) would barely qualify for Dennis The Menace's arsenal, much less that of the Columbine kids? As with the GTA games, Bully creates a rogue fantasy worth indulging. Normally, EA Sports sequels are a constant irritation: They only make just enough improvements or add-ons to beckon the cash-strapped to drop another $50. The refinements on Fight Night, already one of EA's stronger lines, went further than usual by placing a heavy emphasis on realism, from the next-gen spittle that flies after a roundhouse to the HUD-free intuitiveness of the gameplay. An irresistible throwback to the old-school zombies of George Romero's Dawn Of The Dead and the cartoonish carnage of Peter Jackson's Dead Alive, this sandbox survival-horror game turns a shopping mall into an undead apocalypse. No doubt the inevitable sequel will improve the experimental (and frankly disastrous) save function, but until then, the game is a simple and grisly pleasure of creative bloodletting. The idea of a simple, squeaky-clean ping-pong game coming from GTA creator Rockstar Games may sound perverse, but it's a reminder of why the original Pong inspired the whole video-game phenomenon. With the perfect synthesis of the right and left analog sticks, Table Tennis achieves an almost Zen-like bliss through its hypnotic intensity. Playing against an opponent of equal skill on Xbox Live is the purest possible competitive experience. These weren't just stellar entries in classic franchises; they also delivered some of the year's most striking moments. Like the first time you drop into Zelda's dark, digital twilight world. Or giving yourself "Wii elbow" charging an orc on horseback. Or watching Half-Life 2's Alyx show a moment of exhausted despair before she bucks up and gets back to blowing the crap out of zombies. Indie gaming ain't dead, you don't need a big budget to look great, and gameplay trumps everything. Eets is joyfully addictive, running players through a series of cartoony yet fiendish puzzles and expertly ratcheting up the difficulty. DEFCON delivers an easy-to-learn multiplayer war game, plus the chance to kill tens of millions of people in a thermonuclear war—injecting just enough moral queasiness to make it sophisticated beyond its budget. 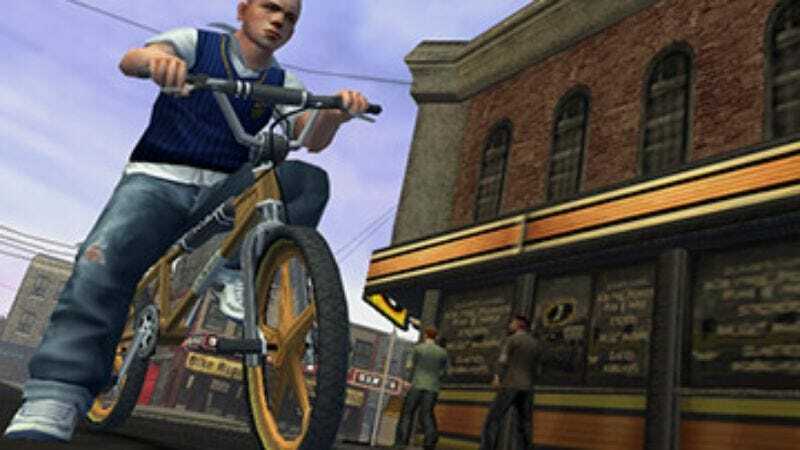 Living up to its billing as a Grand Theft Auto for teens, Bully nails the pleasures of adolescent rebellion and playing hooky. The low-lethality weapons don't cut into the fun, and by the end, the game actually seems rather sweet. But don't tell the outraged critics who helped make it a bestseller. One of the first alternate-reality games to nudge into the mainstream, Perplex City lures players with challenging (and collectible) puzzle cards, and holds them with a hokey but fast-moving story of murder and scandal that even reaches into live events. It's an engaging head-game for casual and obsessive players alike. 2006 saw several epic RPGs for the consoles. But the best handheld-sized saga was Dragon Quest Heroes: Rocket Slime. Rocket—a chipper, good-hearted slime from Boingburg—has to save the day after villainous birds destroy his town and kidnap its citizens. You get to conquer a rich, pun-plagued world, but the biggest reward is watching Boingburg come back to life, building by building and slime by slime.